When you are self-employed and creating your own business, you need to be held accountable for making your own art and doing all the necessary business tasks. In this episode I give you great ideas of how to find accountability partners from your art community both in person and online. I also talk about getting accountability from business experts who can help you with tasks you either don’t want to do or don’t know how to do. And finally, I give you some tips for getting out of an art block and being accountable to make art on a daily basis. These are some friends of mine from the local artist group the Wellington Art Society. This group keeps me accountable because I go to their monthly meetings and I'm inspired to make art that I can show to them. 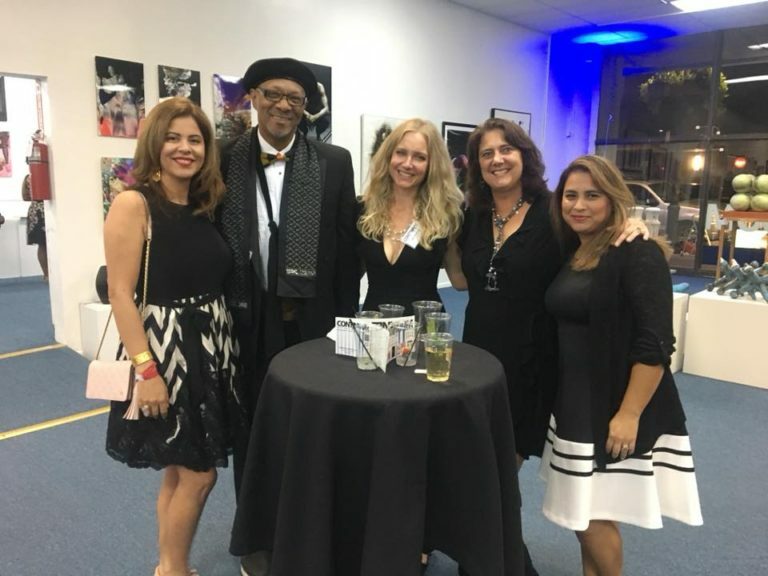 From left: Edrian Thomidis (I interviewed her in Episode #63), Andrew Hollimon (painter), Lara Chapman (photographer), me, and Carolina King (mosaic artist and President of the Wellington Art Society. I made my own goal of posting an artwork a day on Instagram. I was only accountable to myself, but I felt like I was accountable to everyone on Instagram. 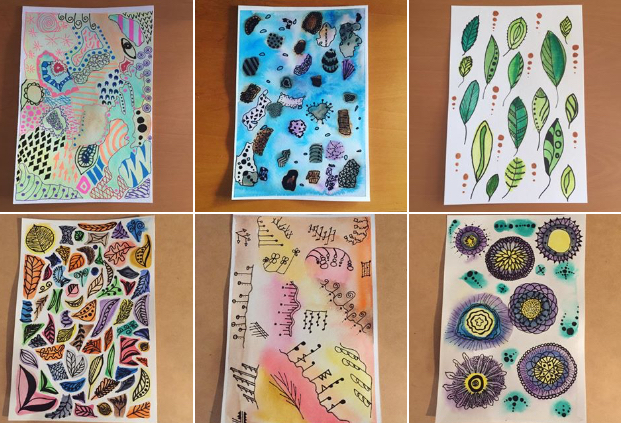 I established an every day practice of making art, and I made 45 of these watercolor and pen pieces, plus 16 collages in another series. Look for accountability groups online in meetup.com. You can search by city. Join Facebook groups and message people to create a small accountability group, like I did with a podcast group I’m in. Look for art challenges online — just search using key words like 30 day challenge, 100 day project, or 52 prompts.